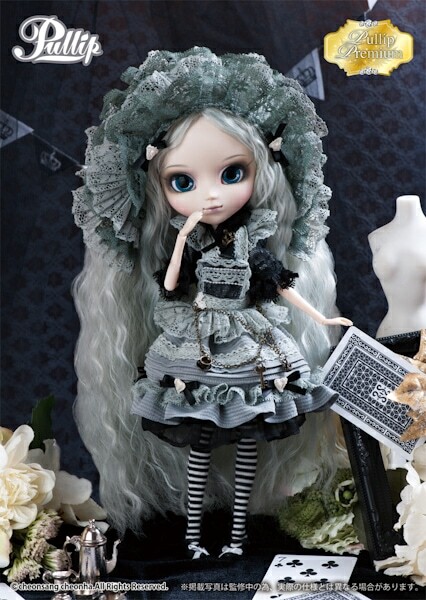 First there was Pullip Romantic Alice Blue ver, than Pullip Romantic Alice Pink ver made a bold appearance, and now the 3rd installment of Pullip Romantic Alice will feature her in a classic monochromatic color scheme. 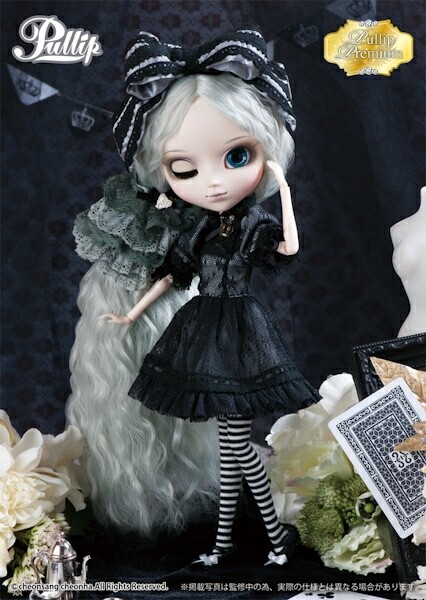 Pullip Romantic Alice Monochrome is the 2nd doll released from the Pullip Premium line which features past dolls wearing different colors and higher quality material. The two original Romantic Alice's were both released in 2011. 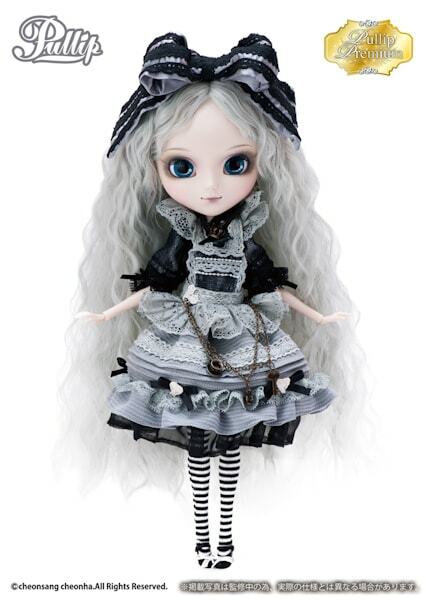 The look of Pullip Romantic Alice Monochrome is similar to the August 2014 release, Pullip Classical Alice Sepia ver who was also sporting the black/white look. It's no surprise that Groove would release another version of the popular Romantic Alice, since she is a highly sought after girl. 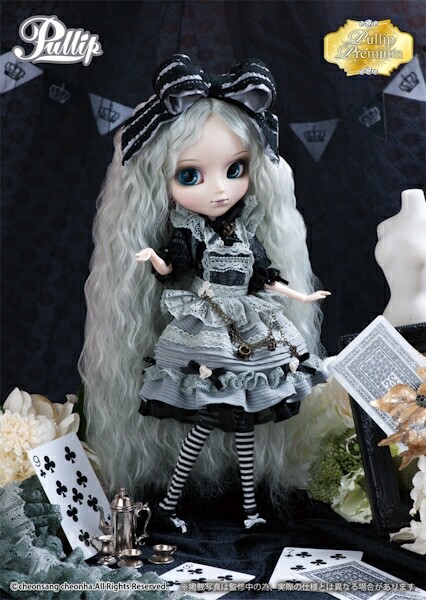 Romantic Alice Monochrome is a neat concept, the black and white make this girl appear Gothic and moody especially compared to the previous releases who have a sweet/innocent charm about them. Even without the apron, she looks cute. I love her knee high socks and her shoes with the sweet embellishment of white ribbon on them, they add character to her look. You can expect to bring home this hauntingly beautiful girl May 2016! 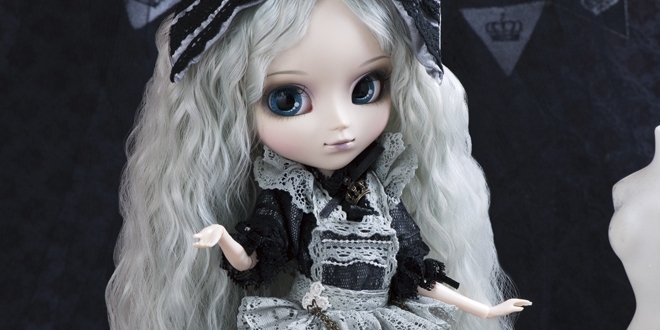 What are your thoughts towards Groove's 2nd Premium Pullip? Does she hit the mark or does she leave you feeling underwhelmed? On one hand I love a character with a black and white color scheme, but on the other hand she isn’t super interesting. The differences in her outfit make her seem less delicate looking than the previous two. 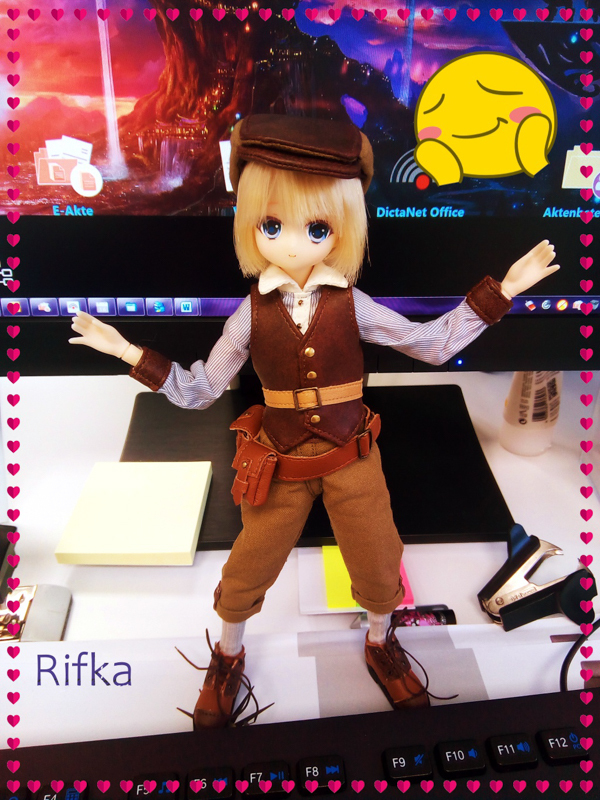 She seems to be lacking the colored eyelids and the cape and there seems to be less fabric involved overall. 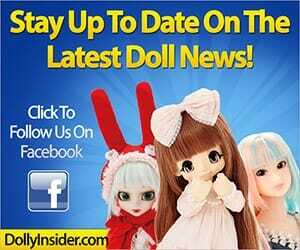 I don’t think she’s a bad doll, but it feels like she’s missing something. 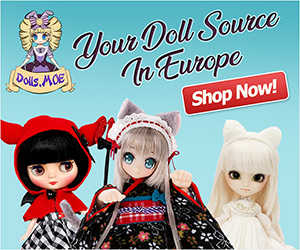 That’s a great point about the overall color of this doll. 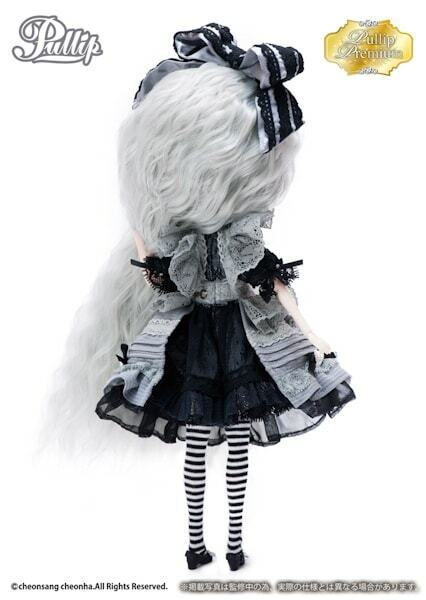 We’re so use to viewing The Romantic Alice dolls dressed in beautiful and airy shades of color, so I can imagine this doll catching some collectors off guard. 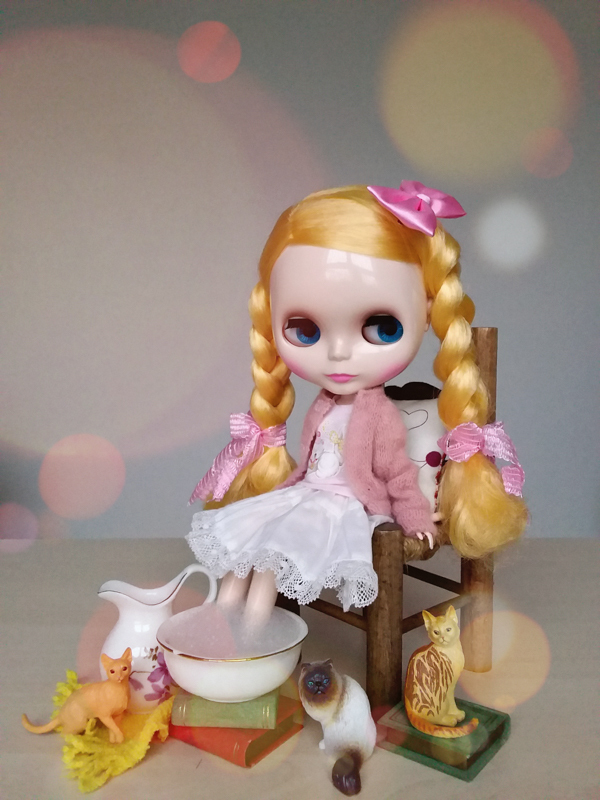 Thanks for sharing you feelings about Pullip Romantic Alice Monochrome with us!